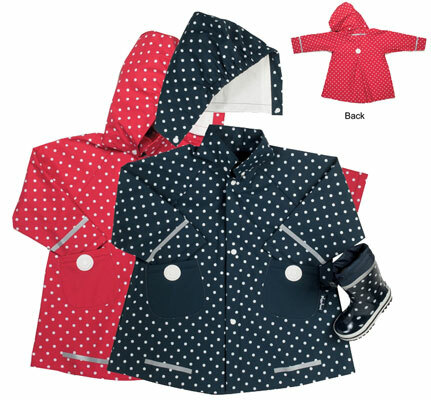 This gorgeous coat,made from soft, breathable PU, is waterproof and windproof in a choice of navy or red spots and is bound to be a hit with little girls. It's also reassuring for Mums that (unlike PVC) as well as being strong, machine washable and comfortable, the fabric contains no phthalate chemicals which can be harmful to health. 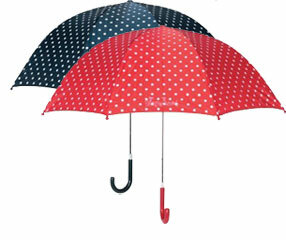 Boots and umbrella are available to match. 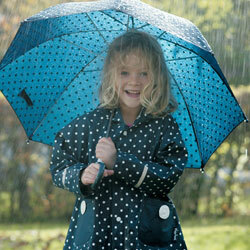 SAVE £3 on brolly when bought with the jacket!